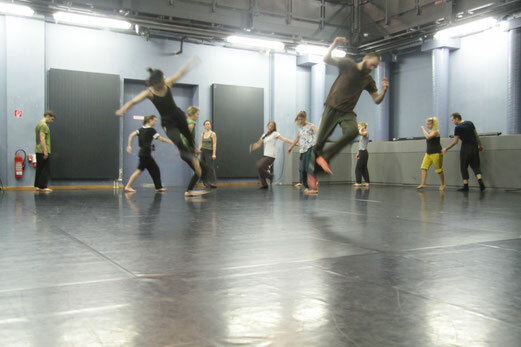 ProfiTraining is an initiative by Leipzig-based dancers for the Leipzig dance scene. Regular drop-in morning classes in different styles and techniques offer the participants the opportunity to train and get in touch with different professionals. The classes are taught by regional and international teachers. The initiative does not have access to a space on a regular base and is currently not supported by public funding. It depends on the benevolent support of studios and institutions in Leipzig such as 4fürTanz e.V, LOFFT - Das Theater, Schaubühne Lindenfels and Leipziger Tanztheater a.o. Therefor the training can not happen on a daily/ weekly base but every other week (as far as the circumstances allow). ProfiTraining SPEZIAL is offered when the teaching artists give insight into their newest work presented at a local theatre. CHECK OUR NEXT TRAINING DATES HERE!